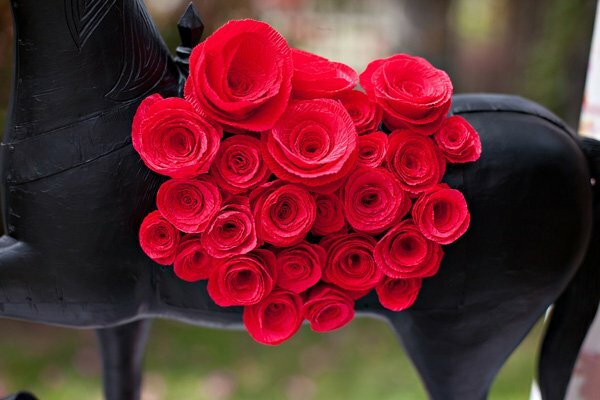 Since the Kentucky Derby® is often referred to as the “Run for the Roses” (in honor of the Garland of Roses presented to the winner), it seems only fitting that roses should play a key role in home Derby celebrations too! 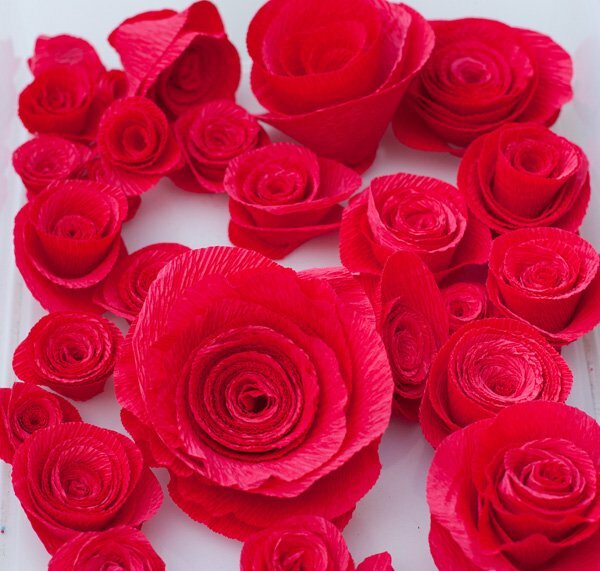 I wanted to showcase them in a fresh, creative way for our recent Kentucky Derby® Garden Party theme for 14 Hands Winery, so we made a bunch of red CREPE PAPER ROSES to use as party decor. 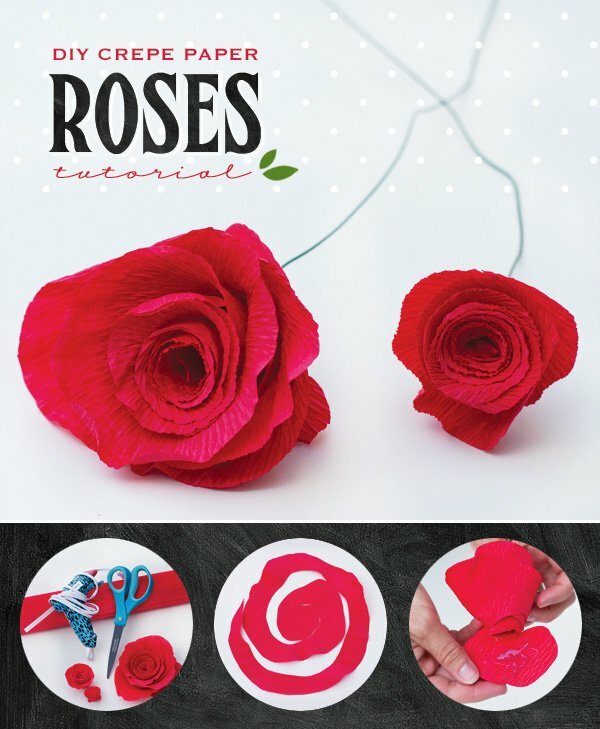 This tutorial is very straight-forward and easy to follow, but it can be a little time consuming if you need to make a LOT of roses like we did, so this is a perfect “in front of the tv or while chatting with a friend” sort of project. Read on for the step-by-step tutorial, with helpful images included. Happy crafting! 2. 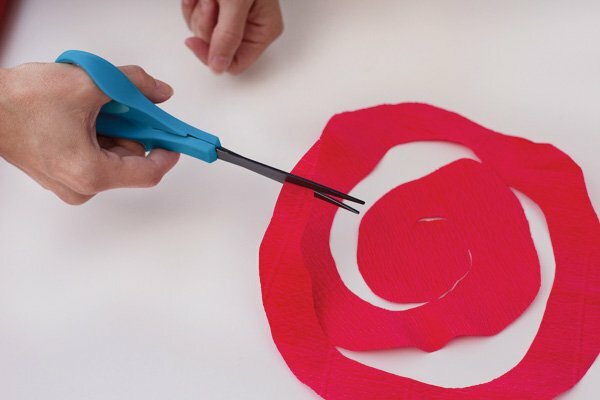 Start cutting the circle into a slightly wavy spiral, so you end up with something reminiscent of a snail shell (see above). 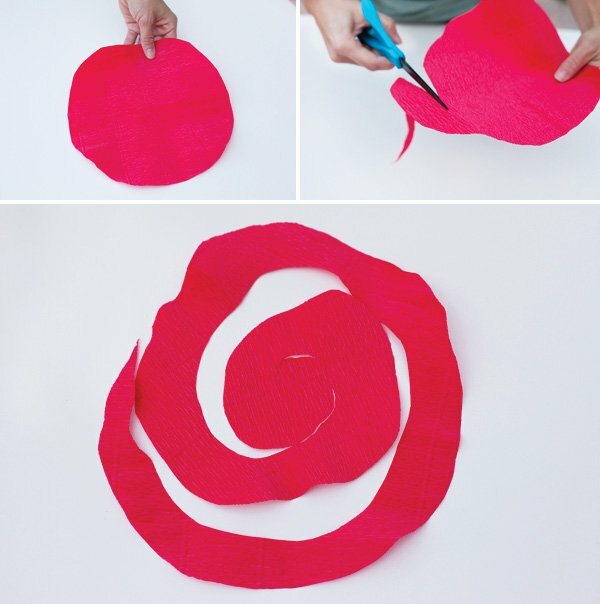 Leave a small uncut portion in the middle of the spiral, as that will serve as the base of the rose and the spot where you’ll put the glue. 3. Cut off the outer tip of the spiral, as shown below. This step is completely optional, but I’ve found that it makes rolling the bloom a bit easier. 5. 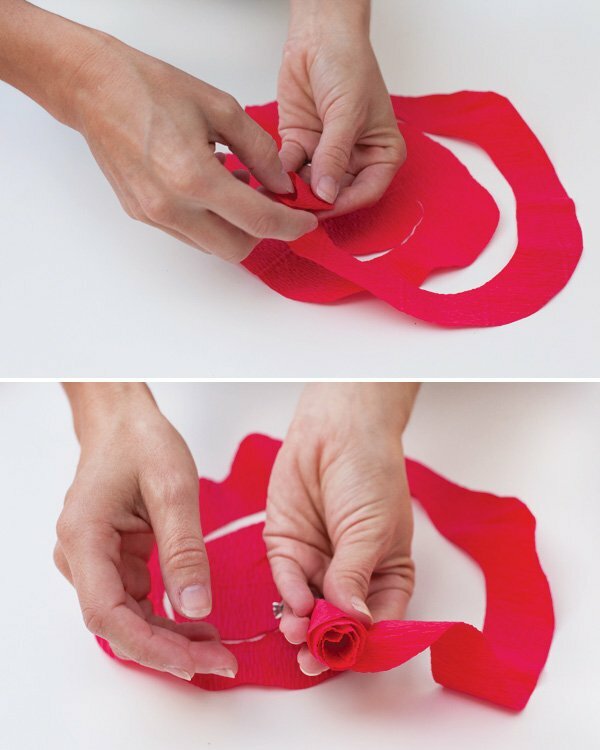 Once the rose is completely rolled up, add some hot glue to the middle of the spiral, then press the bottom of the rose down into the glue, letting it open & relax a bit to create the desired look. Hold firmly for a few seconds until the glue feels secure. 6. …and you’re done! I told you this was easy. 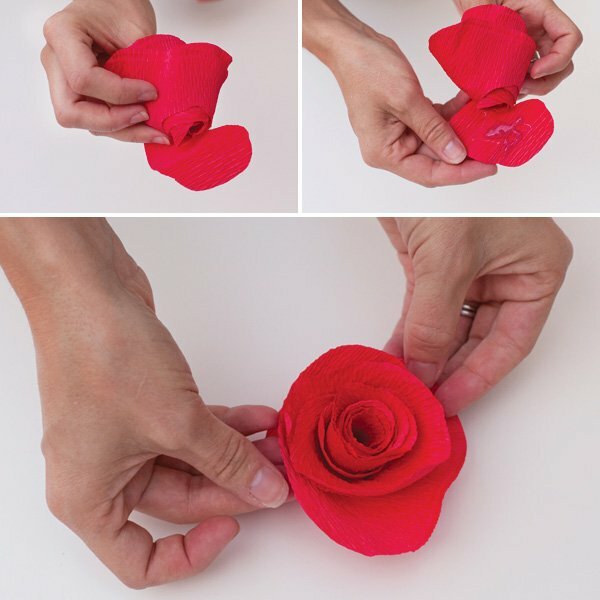 ;) You can also pull at the edges of the petals to affect the shape of the bloom. 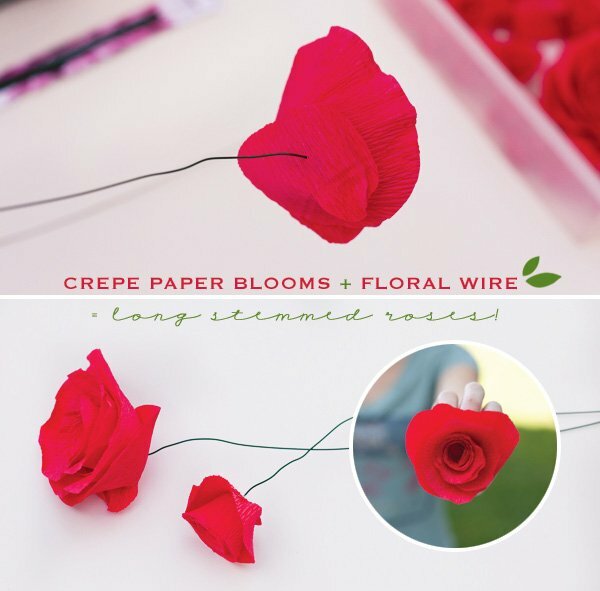 Rolled crepe paper is a bit stretchy, so pulling at it gently will help to give the flower more of a ruffled look. 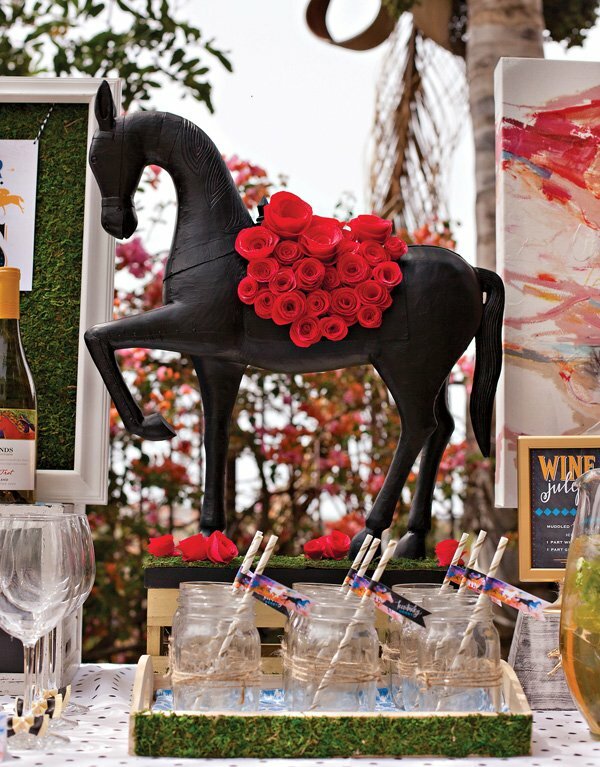 Click here to check out the full Kentucky Derby® Garden Party! 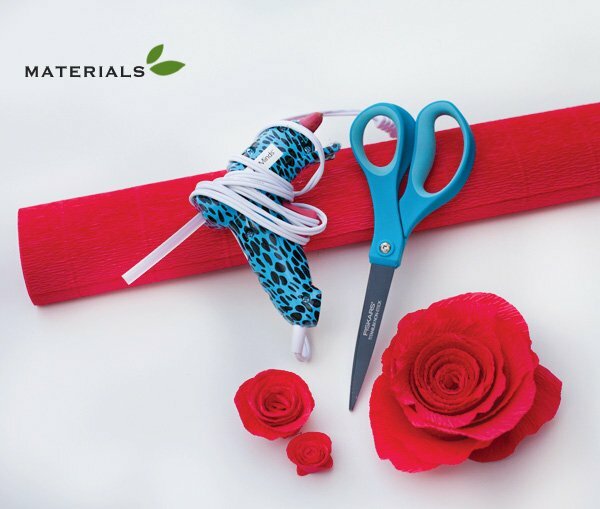 I hope you’re able to try this project out and have some fun with it! 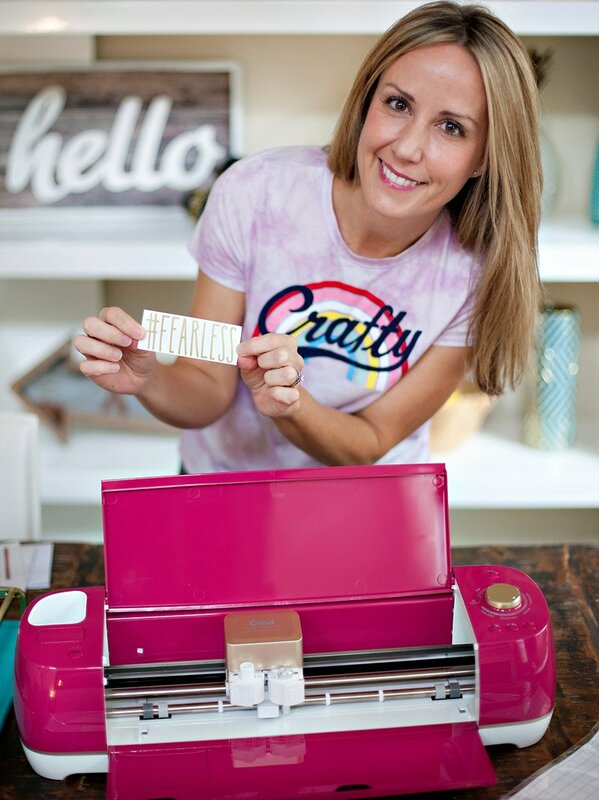 Remember to stay tuned for more Derby Party DIY coming your way soon, and if you missed the first post from earlier this week, you can find it right here. Did you use the red velvet crepe?